The latest report from browser service Opera Mini on African internet trends has revealed insights on the most popular websites as frequented by users on the browser. 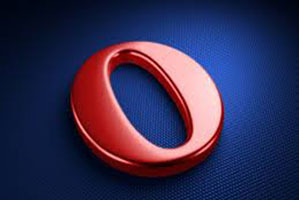 Opera Mini is a proxy based browser designed for mobile devices. It has a huge following because of it’s data compression functionality which allows for cheaper web browsing and access on slower network connections. The report, titled “The State of the Mobile Web -The website map of Africa”, is based on Opera Mini usage statistics and shows the top ten most frequented domains in each country, with Zimbabwe having the highest number of local sites on its top ten list. In the same report mobile device usage per country was also detailed, indicating the trend of Nokia’s strong dominance in the local and African market. This ties in with the information we detailed in a previous report that indicated Symbian and S40 dominance in Zimbabwe. Facebook and Google came out tops in terms of African web frequency with the social networking nabbing top spot in 41 countries followed by Google with a lead in 9 countries. A high propensity for international domains in most of the continent was also observed for sites such as YouTube, Yahoo and Wikipedia. An observation of the frequented sites lists of all countries involved in the survey shows a significant use of sites that share content on sports, particularly soccer. At least 14 countries have at least one website that catalogues results and sporting information with goal.com and livescore.com having the widest representation in this area. This indicates not only a huge appetite for sports content but also shows the huge opportunity for sports media and advertising that is being exploited by other companies like Supersport and MTN who have also been represented on these lists through supersport.mobi and mtnfootball.com. This data indicates that the average Zimbabwean mobile broadband user is a huge consumer of local content, something which startups might be keen on exploring as an opportunity. There is a significant demand for relevant local material that developers should be rushing to address. Despite a strong culture for learning locally there was no representation of any educational websites, something which might change in the next year following Econet’s introduction of the Econet Zero service that gives free access to over 50 educational websites. The Econet Wireless website made the top ten, edging out Whatsapp and myzimbabwe.com. Perhaps this shows how their co-branding effort with Opera Mini has been paying off ahead of Telecel which actually led the way in that respect. It seems like it’s all a numbers game after all when you consider the mobile broadband subscriber difference between the two networks. One surprising entrant on the list was Twitter. The micro blogging site has consistently been dismissed as low traffic centre with regards to local internet usage. Presumably a surge in twitter interest through “movements” like #Twimurenga will actually increase its prominence on the list in future surveys? While Zimbabweans, like every other market are big users of social media, the huge interest in information as indicated by the popularity of news websites (hooray for having the highest literacy rate) can also help in moulding content development ideas for developers and startups. Perhaps this, together with a strong pattern for sports media and content can be something to consider next time a developer wants to come up with content for Africa. myzimbabwe.com? What is even there? Interesting! Some half baked sensational stories (witchcraft, goblins e.t.c) stories with little supporting evidence. Its not good news for herald and newsady because it means few users are going to buy the hard copes! Thanks, we have made the correction. So to all #Twimboz especially those I have had friction over this issue in the past….Facebook is on top….Congratulations Zuckerberg. By the way have you reached a thousand tweets as yet for you to get your twitter bundle? If Econet brings Youtube bundles, Youtube will top the list.